Now is the best time of year to get the body and mind ready for the colder months, even though in the UK we don't have much of a 'sunny' summer, the sudden change into the colder months can be quite alarming. I've decided that this year, along with changing my wardrobe I also need to change my skincare, nails and of course health. 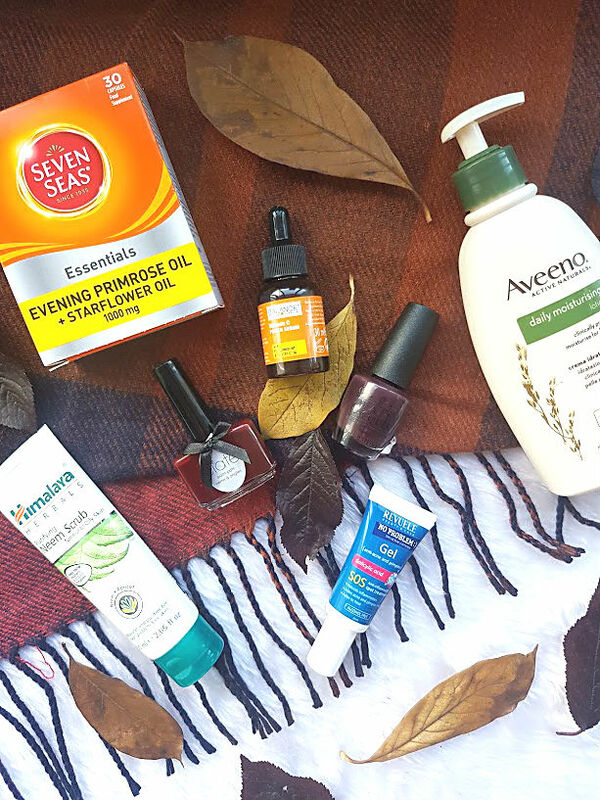 These are just a few things that I have picked up to help me get through the next few months, everything featured in this haul is from Chemist 4 U, who have a whole range of brands on their site for you to shop from. For the past, I want to say month and a half, I have been taking Primrose Oil tablets. Every morning I take 1 tablet with a huge glass of water. Taking just one of these tablets has worked wonders for my skin, it has helped with the amount of breakouts I get and balanced out my hormones to give me more of a cycle, rather than Mother Nature just appearing when it feels like. I spotted the Evening Primrose Oil + Star flower Oil tablets on the site almost straight away when looking through everything. The combination of these two, are said to be like a power couple for your body. They help with skin, hormones and joints. After just taking the joint tablets for one week, I am able to see a big difference already. My skin feels more hydrated and supple! Excited to see what the long term results are. 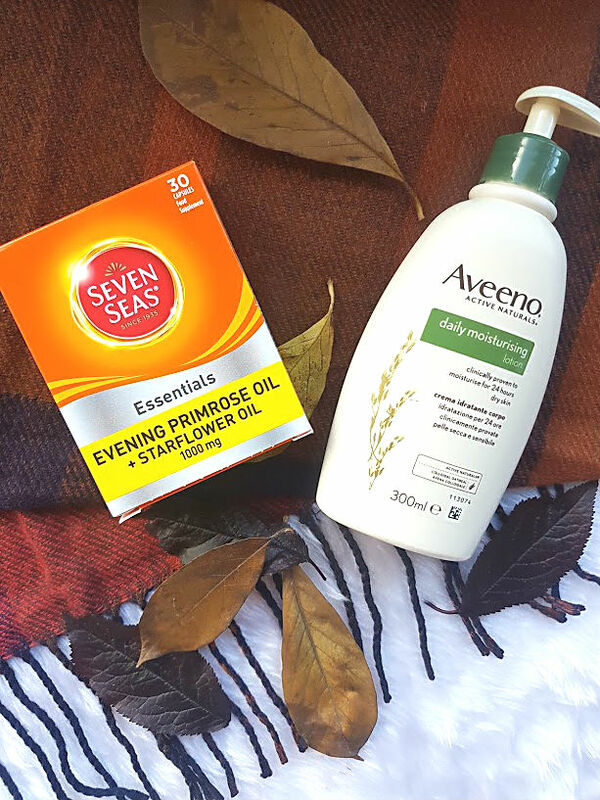 I also picked up the Aveeno Lotion, my cousin was using this when we went to Wales back in August for the weekend. She applied it not only to herself but her little one too, it is such a gentle and kind to your skin moisturiser that you will be obsessed with touching your skin after applying it. It really soaks in and helps to nourish and moisturise. When winter comes around, so does dry skin, switching up to a heavier, yet non-greasy cream like this is ideal to keep your skin hydrated all winter long. 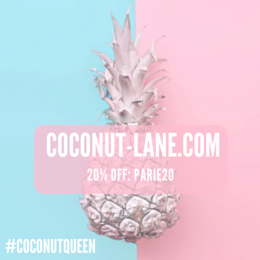 I also picked up a few skincare bits from them, they have so many brands stocked online such as Elizabeth Arden and Olay, all at really low prices too. It's like going down the supermarket skin aisle, but not paying the ridiculous prices for products. 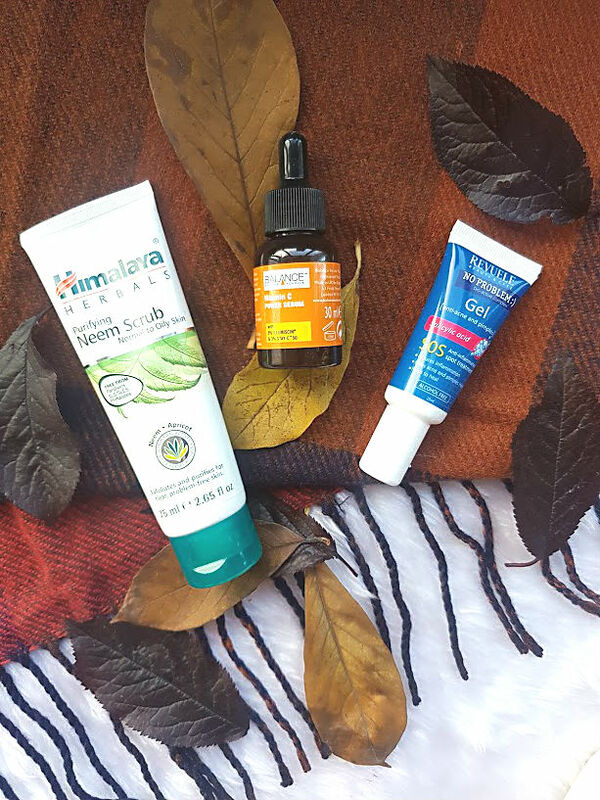 The first thing that immediately went into my basket was the Neem Scrub, I have been on the hunt for a kind and gentle scrub for my skin for ages now. It is hard to get products that are for sensitive/acne prone skin but don't dry my face as well. I love using neem oil in combination with coconut to remove my makeup from time to time, so why not try a neem based scrub! I have only used this once so far, meaning I can't really give my full opinion but unlike the pure oil, this doesn't smell as bad and has tiny grains so my skin hasn't reacted badly to it. Balance is a brand that I have tried and loved many, many times. They are just like Nip and Fab, in the sense that they create products and ranges specified for different skin types with one hero product. This is their Vitamin C Serum, it is meant to be a non-greasy, serum that helps to reduce the appearance of age spots, pigmentation and firm up the skin. I need to find a way to incorporate this in to my winter routine, as I love the serums I am currently using, but know that it is going to work wonders. They also stock a brand called Revuele, one that I have never heard of or seen before but one that got me interested. They specialise in acne/breakout products that are formed with salyclicic acid, one powerful ingredient that I know my skin loves. I picked up the blemish gel to use on the horrible under the skin spots. It kills the pain and reduces the size in almost two hours, no word of a lie and has helped to control them before they get worse. I now have my eye on the other products in this range. It has been so long since I last purchased a nail polish, I am so used to getting my nails done at the salon that buying polishes is strange to me. There just isn't the need anymore, but as we go in to Autumn it is of course time to switch to darker and deeper colours. I love that OPI and Ciate are stocked on Chemist 4 U, they are both great brands with amazing products, so when they are slightly discounted who wouldn't want to try them! 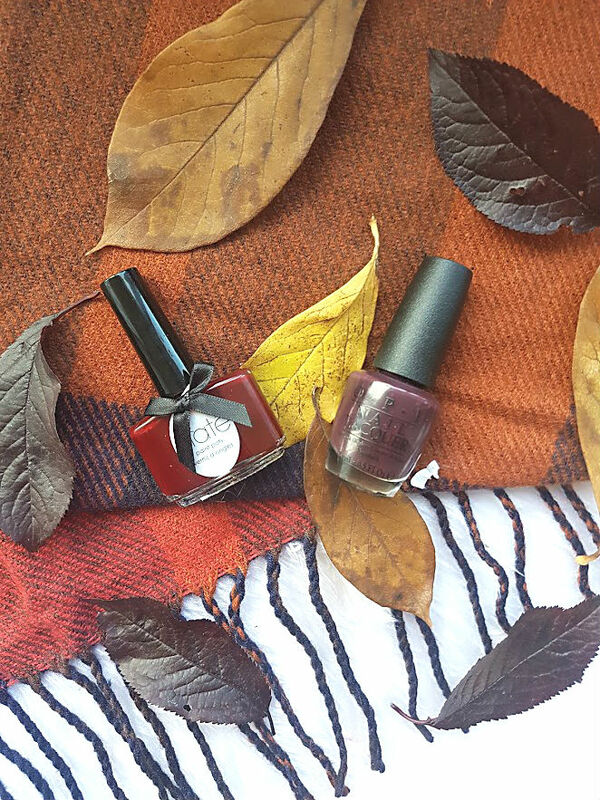 The Ciate shade is more on the red side, with a deep maroon undertone where as the OPI shade is a dark purple, almost black. Not only will these look great on the fingers, but I have been wearing them on my toes and they look amazing. The perfect pedicure shade. I am so impressed with everything that I got from Chemist 4 U and will definitely be making another order soon!